LinkedIn has 175+ Million members and more than 2 million company profiles. That’s big data and LinkedIn has analysed billions of these data points between members and companies and compared the data with surveys of thousands of members to determine a company’s familiarity and engagement score. Talent Brand Index now provides an easy – and free – metric to measure and benchmark your talent brand on LinkedIn. What makes it unique is that it measures your attractiveness as an employer based on the actual behaviour of 175M+ professionals through their interactions with companies on LinkedIn. Our analysis also weighted member actions like viewing employee profiles, visiting Company Pages and following companies. 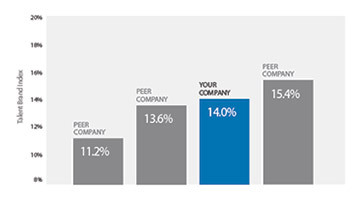 You can quantify and benchmark your talent brand against peers. 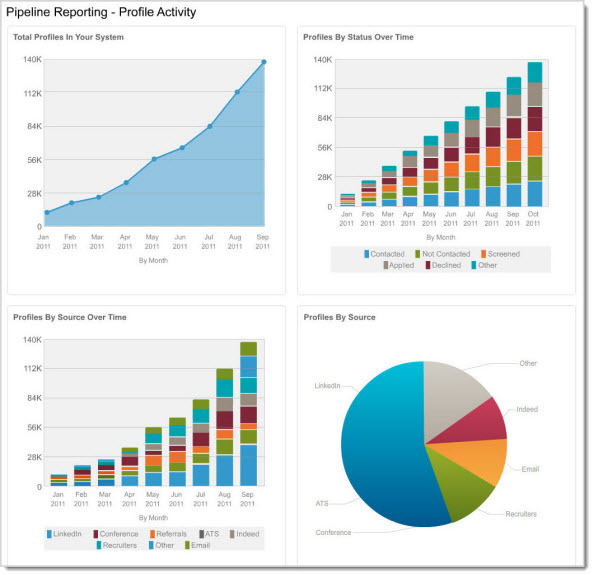 Track changes over time to measure the impact of branding initiatives. And gain an understanding how different types of professionals view your company by comparing your talent brand across functions and geographies. In short, it has the ability to monitor and measure different LinkedIn recruiting marketing campaigns, and their impact on talent attraction. The idea behind is to build a stronger Employer Brand (on LinkedIn, of course). After all, stronger employer brands contribute to the bottom line: up to 2x lower cost per hire and 28% lower turnover rate. 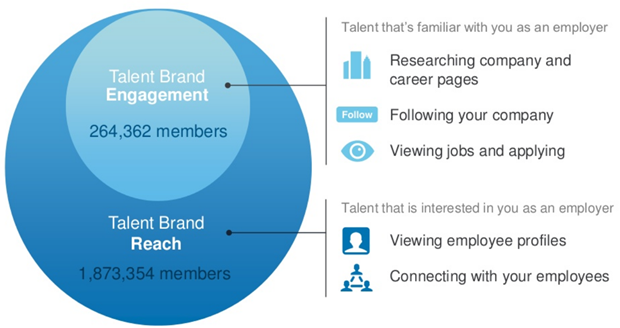 Lets take a deep dive in how LinkedIn calculates the Talent Brand Index of a company (a corporate customer of LinkedIn). The Index is calculated by the number of people who have actively engaged with an employer (comprised of who have researched the company, applied to jobs and who have followed a company on LinkedIn) divided by the number of people who are aware of the company (defined as people who have viewed the employees’ profiles and who are connected to the employees). Multiplied by 100 this number gives the Talent Brand Index. Here’s an example of all the data LinkedIn is able to produce for a company such as L’Oreal. It’s revealing that their LinkedIn follower base is already very strong in markets like Rio de Janeiro. With over 1.3 million monthly status update impressions on LinkedIn, this L’Oréal and LinkedIn connection proves to be a big footprint. What’s good and bad about the above-mentioned Talent Brand Index and its calculation? 1) The more you promote your company profile and post jobs, the higher you score against your peers. So this index tells more about the activity on LinkedIn (in relation to your industry peers). And guess what? LinkedIn has a solution to offer for this. 2) Do these stats have a really strong relation with Employer Branding? It could be sales people that research your company profile on LinkedIn, a competitor that wants to gain more insight in your company, a Recruiter who want to steal your best employees, etc. 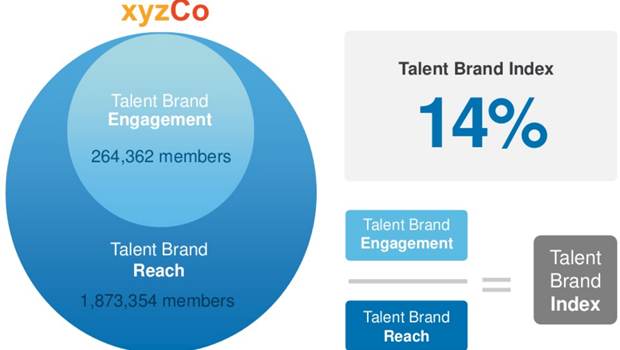 3) The picture suggests that Talent Brand Engagement is a subset of Talent Brand Reach. But it’s also possible that people look at your company profile and don’t view or connect with employee profiles, right? In other words, the Talent Brand Engagement is not 100% a subset of Talent Brand Reach which makes the story weak. 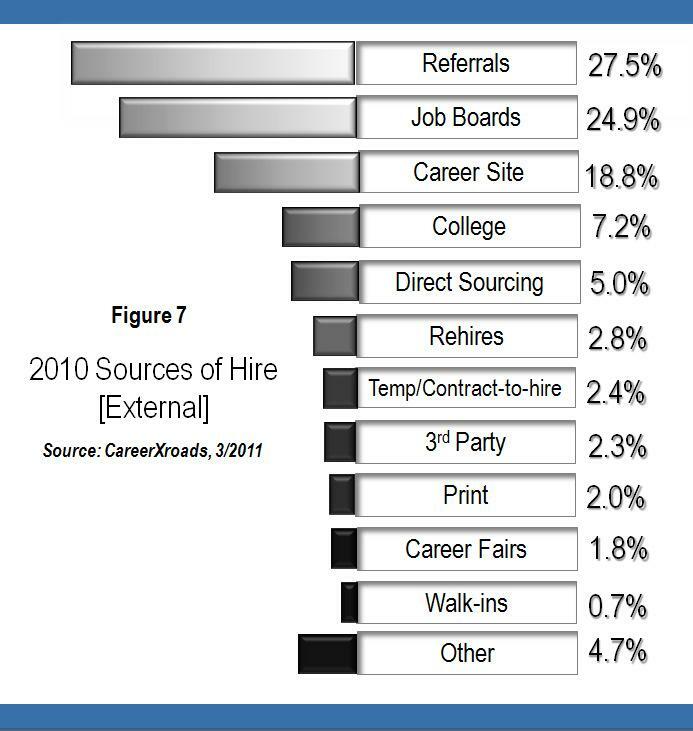 4) According to LinkedIn data, 25% of visits to employee profiles are from co-workers. That’s a lot of reach that should not be taken into consideration. Note: LinkedIn is considering to build a tool for companies that leverages these insights and use it as an internal directory (or replace it). Remember where you read it first! 5) If Employer Branding is People Talking About You than this index (slightly) useful to compare it with direct competitors. But remember, this index doesn’t take into account the shares or likes of company news or updates. 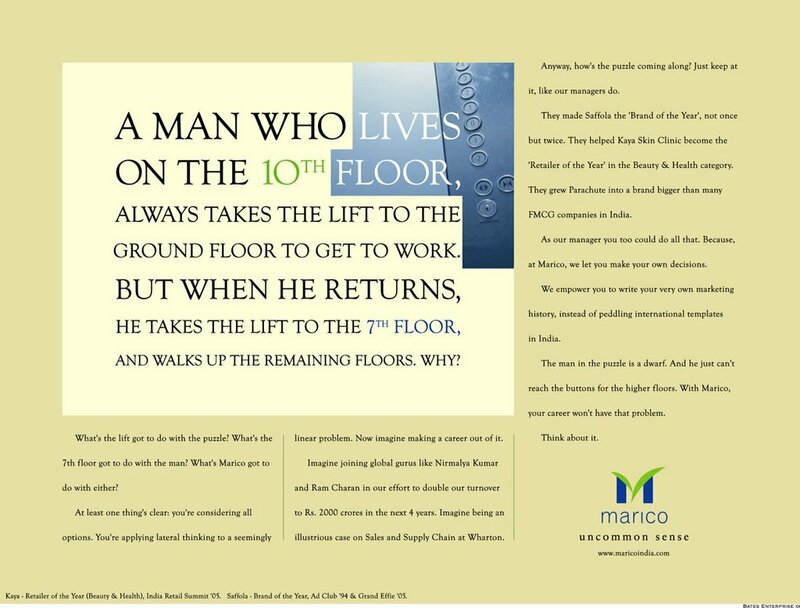 6) LinkedIn has also done an Employer Brand survey that shows that the more people learn about a company in general, the more likely they are to learn about it as an employer; and any positive impression they develop towards its offerings impacts their perceptions of the company’s employer brand. 7) 70% of LinkedIn company followers are open to receiving job opportunities from those companies. 8) Only a third of employers actually measure their talent brand, which is the starting point of any branding effort. The LinkedIn Talent Index provides a free benchmark for LinkedIn customers and has a global reach. This information was only available in certain countries and regions via expensive research companies. 9) If you want to get more budgets for Employer Branding, the Talent Brand Index could be useful to build a business case for this (and no worries, senior executives won’t dig into the details of this index). Moreover, you can relatively easily influence the score, which looks good on your resume. 10) Oh, wait they also have a nice badge for your career site! So what do you think? Is this index a smart sales tool for LinkedIn Account Executives to sell more professional solutions, such as career pages and jobs, that should be ignored? Or a free and reliable way of scoring your Employer Brand against industry peers that makes other (expensive) surveys obsolete? Or perhaps you have a suggestion for a better index-score?